Requests for CPD certificates will be taken at the event. 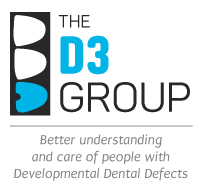 GIVING BACK: WHY DOES D3G NEED YOUR FINANCIAL SUPPORT NOW? Born out of philanthropy and nurtured by much generosity since, D3G today is helping people around the world. However, with workload demands now outstripping our capacity to deliver on a "hobby basis", paid help has become a necessity. Exciting steps towards self-sustainability are underway but to get there we're asking our "D3 family" for interim financial support please – hence this 2017 fundraising appeal (more here). We've made a good start towards the $50,000 needed to pay our bills in 2017 but still have a long way to go! This industry-backed gala event provides an enjoyable D3-family atmosphere for toasting our collective accomplishments and thanking those who've contributed to our appeal. All proceeds go to D3G, thanks to generous hosting by Henry Schein. Please note, by special arrangement with "Good Karma Inc." giving will also be accepted from those unable to attend – just follow the same procedures below, then sit back and polish your halo. A friendly rocket scientist advises that $6,000 will be raised if 30 attendees each give $200. Some of you have already volunteered more than this (thanks so much) and we understand this amount might be challenging for some others. So please nominate your own gift value taking into account the "bang for the buck" suggestions below (minimum $100). With seating very limited, D3G reserves the right to acknowledge major givers accordingly. If a standard online transaction is preferable, contact secretary@thed3roup.org to use our eShop facility.